Magic, mystery, and dangerous enemies this book has all the ingredients for an exciting new romance. The setting was darkly beautiful and the imagery brought it to life. I really enjoyed the world building in this book and discovering all of its secrets. The rules and creatures in this world were very interesting and had me captivated, especially Brock. Brock was mysterious and had a lot of depth to him. He has been cursed to take the life of anyone he touches. I grew to love and care for this cha...more Magic, mystery, and dangerous enemies this book has all the ingredients for an exciting new romance. 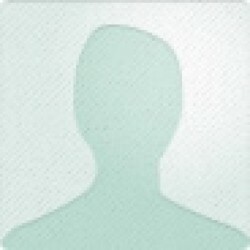 Brock was mysterious and had a lot of depth to him. He has been cursed to take the life of anyone he touches. I grew to love and care for this character, so I felt his pain when he finally had the cure so close, but so far away. He has really been through a lot and I admired his strength when things got tough. Most of all I admired how he could protect Celeste, even at the cost to himself. Celeste was a woman who knew what she wanted and went after it. It was amazing how resilient she was and how she was able to be so strong after being a prisoner for so long. I loved learning more about her and seeing her relationship with Brock blossom. They are so great together and you could really feel the chemistry between them. 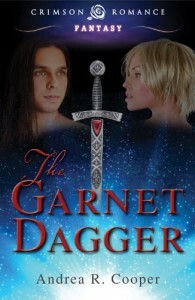 For an exciting new paranormal romance check out "The Garnet Dagger".